Sometimes a short and simple explanation is all you need to get your head around a new concept. 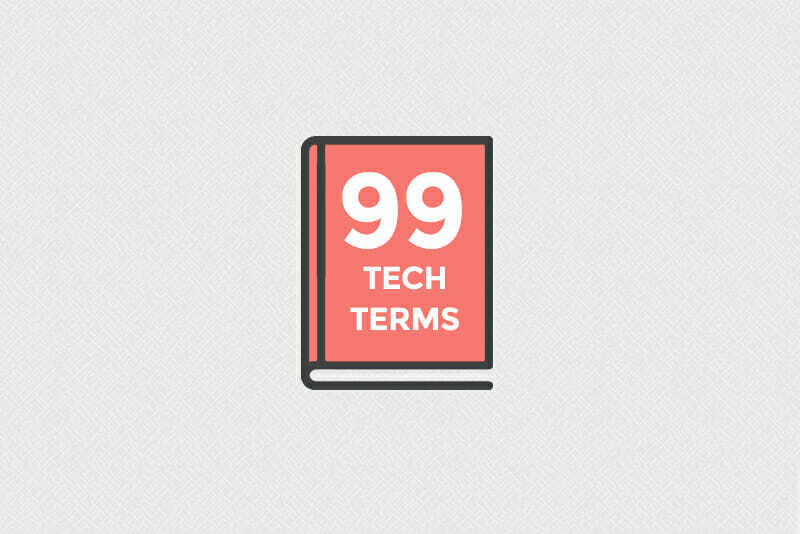 And that’s exactly what we have here: a jargon-free, plain-English tech dictionary, if you will, of 99 fundamental terms you’ll need if you’re considering a career shift into tech. Trust us, we know—these are the terms the Skillcrush team uses all the time in our online tech courses (and our free 10-day coding bootcamp, too!). 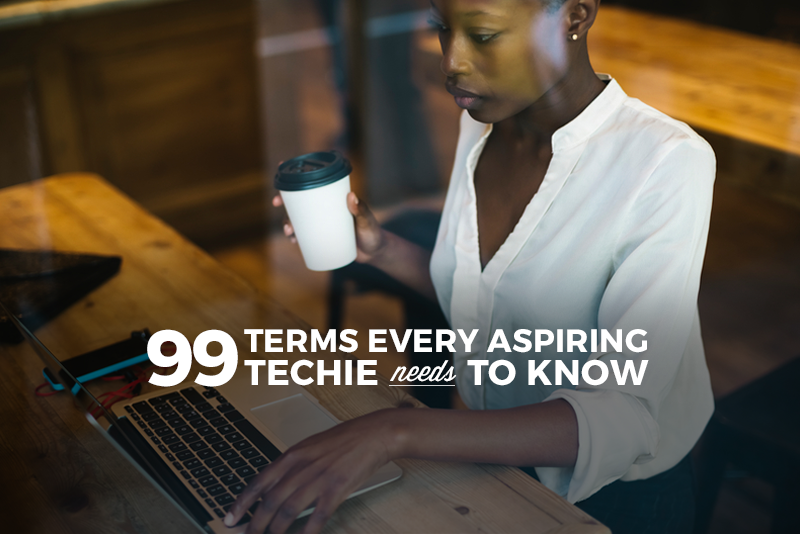 You’re sure to find more than a few terms you’ve already wondered about during nerve-wracking meetings or interviews—so go ahead and scratch those off your “what the heck is that?” list right away—then bookmark the rest, and come back whenever another pesky tech term that has baffles you. Even if you’re new to tech, chances are you’re not new to social media. Content curation is the process social media sites use to gather and present content (articles, links, videos, images, etc.) that are relevant to a specific topic or a user’s area of interest. Content can be selected manually by a person designated as a curator, or it can be gathered through automated programs that track things like upvoting, likes, hashtags, or analysis of a user’s previous online activity. Engagement is the term used for likes, shares, comments, and other interactions with a business’ social media presence. It’s one metric companies use to measure and evaluate their social media performance. Liking posts on Facebook, tweeting on Twitter, and viewing pins on Pinterest are all examples of social media engagement. Embedding is the process of putting social media content on a web page. When you see a YouTube video on a blog you’re reading, or a tweet posted on a business’ website you’re checking out, that’s an example of embedding. Embedding is done through HTML code, and most social media sites have an “Embed” option that gives you the exact code you’ll need. Impressions are the number of times an online ad, article, video, or other piece of content has been “fetched” (or requested) from it’s source. Whenever social media content shows up in your web browser, it’s been fetched from its web server, and you’ve just helped make an impression. Influencers are individuals with a presence on social media who use their platform to affect group opinions and behavior. Celebrities who use Twitter, YouTubers with legions of subscribers, and activists organizing on Facebook are all examples of social media influencers. Mentions are ways of referring to a person or account on social media platforms (@yourTwitterhandle on Twitter or +YourName on Google+). Mentions are another metric companies can use to measure their social media footprint. Microblogs are a subset of traditional blogs where instead of longform content, short messages consisting of a few sentences, an image, a video, or a link are posted and shared. Twitter, Google+, Tumblr, and Facebook are all considered microblogging platforms. Organic content describes social media content that ranks highly because individual users have liked, reposted, or viewed it—not because companies have paid to promote the content. Articles, memes, and videos that go viral through online community sharing (as opposed to paid advertising) are considered organic. Reach is a measure of your potential social media audience size—it’s the number of people who have access to your content, though reach doesn’t measure whether or not the content was actually viewed. Social graph is a model of Internet users on a social network and how each one is related to all the others. It’s the way sites like Facebook suggest other users you might know, or how online games like Words With Friends connect you with your cousin who you didn’t even know had a social media account. User generated is social media content (posts, photos, videos) created by users about a brand or product and not by companies or organizations themselves. When a local restaurant retweets a Twitter user’s positive shout out, or Coca-Cola reposts a picture of an Instagram user drinking a Coke, that’s UGC. Affiliate marketing is a strategy where businesses reward individual affiliates (people or organizations outside the business) for bringing in new customers or visitors through ads or content on the affiliate’s website. Affiliates receive payments or product discounts based on the number of customers they generate. These are exceptionally common on personal or lifestyle sites, where you might notice that the product recommended has a link with a bunch of additional stuff tracked on. That means that if you buy the product, the blog or site that lead you there will make some percentage of that sale. Bounce rate is the percentage of visitors to a website who leave the website quickly without really looking at it—Google analytics calculates bounce rates based on website sessions where a visitor only sticks round to look at one page before bouncing. Sites aim to keep this number low—they want you spend time on their site—and so they’ll try to keep content as engaging and relevant to you as possible. A call to action is the text, banner, form, or image on a web page (or email) asking a visitor to literally take an action—read more content, join an email list, sign up for a webinar, buy a product, etc. 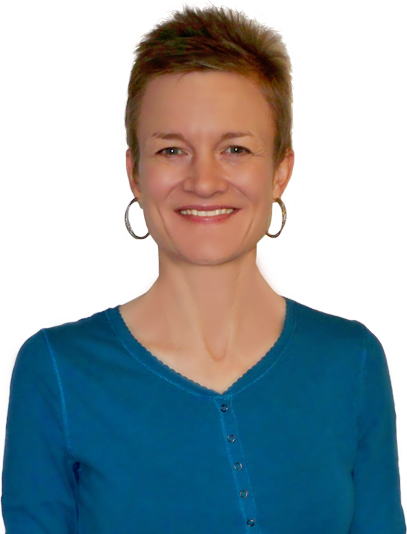 CTAs are a marketing tool that converts web users into leads for businesses. The click through rate is the percentage of users who click on links in web pages or marketing emails. CTR is significant because it measures how many users are actively engaging with linked content on a site. A sales funnel is an internet marketing method where potential customers are led through a series of events or actions that can be mapped out in the shape of funnel. The broadest level at the top of the funnel involves drawing users to your website, after which they move down the funnel where they’re offered services or resources if they sign up for your email list, until eventually they move to the bottom of the funnel and become a paying customer. CRO is a marketing system for raising the percentage of website visitors who convert to paying customers. CRO methods usually involve encouraging users to take specific actions on the website, such as filling out a web form, signing up for a trial, or joining an email list. Keywords are words or phrases commonly used in search engines to look for online content. Keyword research is a powerful internet marketing tool, since web advertising and website search engine placement can be optimized to match high traffic keywords, making it more likely that Googlers will end up on your site. Marketing automation describes the use of software or online services (like HubSpot, MailChimp, and Act-on) to automate repetitive marketing tasks like emails, customer relationship management, social media posts, and analytics. Marketing Automation programs allow marketers to input specific criteria for the tasks in question and that data is interpreted and executed by the program. 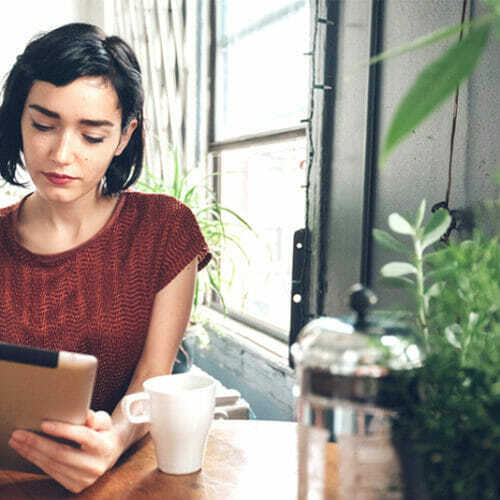 Multichannel marketing uses a variety of of communication platforms (website banner ads, Facebook ads, marketing emails, a blog) to interact with potential customers. This approach allows users to choose which channel they want to use to interact with your product and increases options for converting impressions into customers. SEM describes the use of paid advertising (such as brief copy, product listings, and video clips) on search engines (Google, Yahoo, Bing) in order to drive user traffic to your website. SEO is the internet marketing practice of optimizing a website so that it’s more likely to show up in unpaid search results (e.g. it’s one of the first sites to appear when you Google a related topic). SEO is done through using algorithms based on specific search engine’s behaviors, analyzing the specific keywords typed into search engines, and researching which search engines are popular with particular demographics. Then, you align the format of your content (including things like making sure headings have extra searchable terms) to give yourself the best shot at moving up in search engines’ rankings. Be careful, though: going too far has consequences. “Stuffing” your content with keywords will get you dinged on Google’s rankings, so don’t let the goal of SEO overtake producing authentic, excellent content. Traffic is the total amount of users who visit a website. Overall traffic is then broken down into specific types of visits—like unique visitors and total clicks. Growth hacking is the creative use of technology (websites, marketing emails, apps) and analytics (data mining, A/B testing) in combination with product development to increase a company’s growth. Growth hacking focuses on lower cost marketing alternatives to traditional television, newspaper, and radio ads and is often used by startup companies looking to grow their business rapidly during their launch phase. A/B testing is the practice of comparing two versions of online content—websites, apps, marketing emails, etc.—in order to see which version performs better. The two versions (A and B) are presented to users at random in order to gauge reactions. Content marketing uses online content—e-books, videos, blog posts, podcasts etc—in order to attract an audience who might become customers. Content marketing doesn’t explicitly advertise a brand, but is designed to indirectly stimulate interest in products and services. Conversion is the successful end result of marketing attempts like A/B Testing and Content Marketing—it’s the point when a potential customer becomes a lead or an actual customer. Data mining is the practice of examining large amounts of data in user databases and websites to find consumer patterns, behaviors, and relationships that can be useful in marketing goods and services online. Email marketing is the use of direct emails (directly from a business to an individual) in order to communicate with current and potential customers. Email marketing allows companies to strike a more personal tone and establish a voice for their brand. Site optimization is the process of using growth hacks to improve the site’s ability to convert visitors to customers. Controlled experiments like A/B testing are carried out and the results are used to make website changes that lead to more pageviews, product purchases, etc. This might include making it easier to get from one article to another, making sure pop ups most accurately match the interest of the user, or simply making the site as a whole easier to navigate. Color value is a color’s shade. Value can be defined in HTML by name (black), hexadecimal color code (#000000), or RGB code (0, 0, 0). Color theory is the study of color mixing and the visual effects of specific color combinations (complimentary colors, color harmony, how to achieve specific tints and shades, etc). Grids are a set of columns and rows that can be used as guidelines to arrange content on a web page. Grid systems help provide a solid base of uniformity and consistency in your design, making it more legible for the viewer. PPI—also known as “density”—describes the amount of pixels (small dots of light that combine to create an image) per inch on a device display. The higher the PPI count, the sharper images and text will appear. Raster images are computer graphics made of pixels that can be edited pixel-by-pixel with programs like Painter and Photoshop. Raster image are stored in familiar image file types like GIFs, JPEGs, and PNGs. Resolution is the number of pixels that can be shown on a device’s display. As with PPI, the higher the resolution on a display the more pixels can be shown, making images and texts sharper. Retina display is a term trademarked by Apple for an electronic device display with density so high (usually over 300 ppi) that people can’t see the individual pixels. Apple uses these high density displays in Apple Watches, iPhones, iPads, MacBooks, and iMacs. Vector images are made up of lines that are calculated mathematically. Because of the images’ line composition (instead of being composed by individual pixels), they can’t be styled to the same degree as raster images, but they don’t lose lose quality when they’re magnified (pixel-based raster images start to look like a collection of squares when zoomed-in too closely), whereas vector images can be infinitely scaled up. You can use programs like Adobe Photoshop to work with vectors. Mood boards are collections of content (images, materials, pieces of text) used to represent the visual style of a website—or any creative project— (color palette, images, icons, and fonts) in pre-production. The style represented on a mood board is then translated into digital form by visual designers. Sitemaps are outlines or maps of the pages that make up a website. They show the relationship between the pages and links, apps, videos, or other components, and can take the form of a document or its own page on the website. User interface includes all the parts of a website, app, computer, smartphone, etc. that the user can manipulate and interact with. Display and touch screens, website menus, keyboards, your cursor—these are all part of a user interface. UX describes the emotions, attitudes, and ease-of-use a person has when using a product or service. UX Design is the practice of using design to improve communication between a product and its user in order to enhance the user’s overall experience. User flow is the path typical users take when starting on a website and moving toward an action on the site. Creating a smooth path that is intuitive for users to follow is part of user experience (UX) design. Personas are theoretical user profiles created by UX and web designers to define what kind of user a website is being built for and what their needs are. User personas are created using demographic information, user research, and analysis of customer experience metrics. User research is the process of investigating how users behave on a website and examining how that behavior can lead to a better website experience and design. Wireframes are sketches of the key information that goes on each page of a website, essentially showing the site or page’s “skeleton.” Designers can then use this sketch as a starting point for laying out a website. 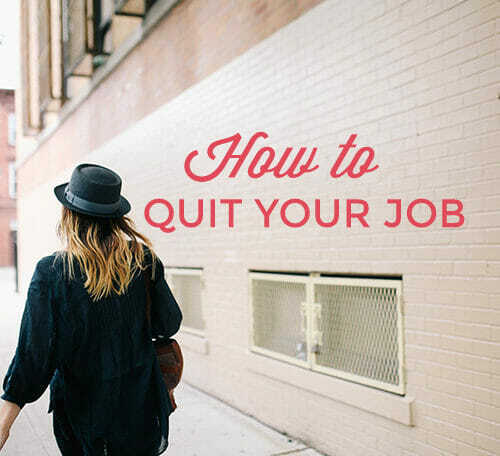 These can be made in programs or written on a napkin—we’ve seen it all. Fonts or typefaces are what determine the look of your text—they are typically designed by people who specialize in type design. Fonts are organized by style family’s (Arial) and then grouped by weight with in that family (regular, italics, or bold). Kerning refers to the space between characters (letters, numbers, punctuation) and the process of adjusting that space to avoid unsightly gaps and improve the legibility of text. Leading is the vertical distance between lines of text on a website—in other words the space between lines, a subtle (but important!) part of design appearance. Tracking is the amount of space between words (as opposed to individual characters), and like kerning and leading, is essential for legibility. Hierarchy is a method of using different font sizes and styles on a website in order to organize the site and make it more visually appealing. A web page with titles in a larger font than its body text or bold text separating sections is using type hierarchy (like this very article!). Serifs are small lines attached to the end of letters or symbols in “serif” font family (Times New Roman, Lucida Bright), distinguishing those fonts from “sans serif” font families (fonts without serifs, like Arial, Helvetica). HTML is the standard language used to create web pages. 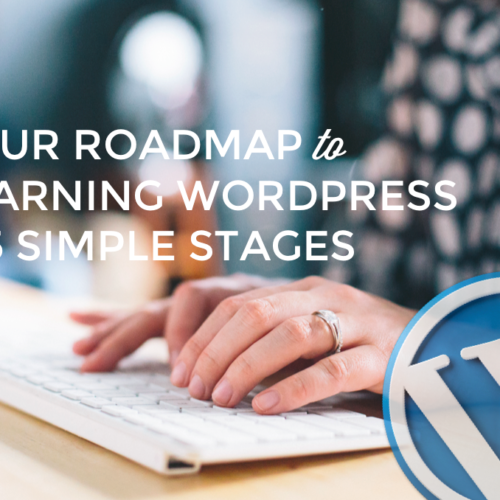 It’s the most basic building block you’ll need for developing websites. You might remember basic HTML tags from early personal websites like Myspace, where you could customize your page with commands inside <>. HTML5 is (as of this writing) the latest version of HTML. HTML5 focuses on features that can be used on low-powered devices (making it ideal for creating mobile applications), the native ability to work with multimedia and graphic content, and new semantic web tag elements (features you use to structure your pages and documents). Meta elements are HTML elements that don’t appear visibly for the user on a webpage, but give the web browsers additional information about the page—keywords, author of the document, last modified, etc. Semantic elements are HTML elements that provide information to the web browser processing the page as well as the developer building it. While non-semantic elements like <div> and <span> don’t describe their content, semantic elements like <header>, <section>, and <article> define their content in their name. Structural elements are the HTML elements used to organize the content of a web page. Structural elements like <div> and <span> are used to group block level and inline content together, respectively, while <header> contains the header content of a page, <footer> contains the footer content, etc. Attributes are used to provide additional information about HTML elements. For example an HTML element like a paragraph can have an attribute of being aligned (left, center, or right). Attributes are included in the opening tag and made up of the attribute name, an equal sign, and a value in double quotes. Self-closing tags are opening tags that don’t have a corresponding closing tag but instead close themselves with a forward slash before the right angle bracket. If you look at this tag to insert an image, you’ll see that it has the / which typically denotes closing a tag inside the opening tag. CSS is the language used to add style to documents created with HTML. Where HTML comes first and creates the foundation for a page, CSS comes along next and is used to create the page’s layout, color, fonts, etc. CSS3 is the latest version of CSS, introducing features like rounded corners, shadows, gradients, transitions or animations, and new layouts like multi-columns and flexible box or grid layouts. will change the font size of the selected element. A property in CSS is the part of a web page’s foundational HTML code (font size, color, margin) whose appearance or style is changed by CSS. A value is the CSS code that defines the settings for for a CSS property. For example, if you’re using CSS to change the font size and color of a certain block of text, the value describes what those changes will be. The value 1.5em, red, 20px will cause the property (the block of text) to have an indentation of 1.5 the font size, the text will appear red, and the font size will be 20pt. Declarations are parts of CSS code where a property and value for the selector are displayed inside a pair of curly brackets. Back end refers to the “under the hood” part of a website or web service that makes it run (this includes applications, web servers, and databases), and is typically not visible to the user interacting with the site or service. Applications are types of software (also called “apps” and often used to refer to mobile device software) designed to provide a function for a user or another app. Apps include everything from web browsers, to word processors, to photo and image editing tools, to chat programs like Skype and Google Hangouts. An API is the interface used for building web applications. APIs provide building blocks for coders to use, and then the coders put those blocks together to create the program they are trying to build. Examples of APIs include Google Maps API (allows developers to embed Google maps on web pages), Twitter APIs (Twitter has two APIs—REST, which allows developers to access core Twitter data, and Search, which allows developers to interact with Twitter Search and trends data), and Amazon Product Advertising API (allows developers to access Amazon’s product database and advertise Amazon products on a website). Bugs are coding mistakes or unwanted pieces of code that keep a website or program from working properly. Devops is a software development process that focuses on helping development, operations, and quality teams understand each other and collaborate better. By unifying these three separate departments, Devops teams aim for shorter development cycles and more dependable software releases. Frameworks are collection of programs and components commonly used in software development. Rather than spending time seeking out each of these components separately, developers can take advantage of frameworks where they are collected in one place. Examples of frameworks include Ruby on Rails, Bootstrap, AngularJS, and Joomla. Object-oriented programming is a type of computer programming/software design that focuses on the creation of objects that have specific and unique attributes and abilities. In OOP, computer programs are made up of these created objects that then interact with one another. This is in contrast to earlier programming languages that focus more on the process of turning input data into output data rather than the data (objects) itself. Examples of OOP languages include Ruby, PHP, and Python. Software is a program or set of instructions that tells a computer, phone, or tablet what to do. Software includes individual applications (web browsers, word processors) as well as system software like operating systems (Microsoft Windows), drivers (software that allows operating systems to communicate with hardware like printers), and utilities (tools like anti-virus programs or hard drive defragmenters). A text editor is a type of software used to write plain text (without formatting), which is often used for coding and programming. After code has been written, it’s formatted another program called a compiler (specific to the programming language you’re using) to make it computer-readable, but code normally starts it’s life on a plain text editor. Examples of text editors include SublimeText, TextEdit, TextWrangler, and Notepad++. Version control is a tool used to keep track of changes to code and files on a website or app and allows the user to go back and restore earlier versions in case of bugs. Version control tools like Git are often built in to source code editors (programs used to write and edit code) like Visual Code Studio, or offered as part of a web hosting service. Web servers are computers used to store websites, online apps, documents, pictures, or other data, and can be accessed through the internet by way of applications like web browsers or file transfer protocol (FTP) clients. When you visit a website with the browser on your computer or smartphone, you are requesting it from a web server. Caching is what happens when a web browser stores recurring website assets—like images and font styles—so that the website will load faster on repeat visits from the same user. By caching, your browser won’t have to reinvent the wheel every time the site is requested. Firewalls are systems designed to protect and secure a computer network—everything from a commercial web service to your home WiFi network—from external security risks. Firewalls monitor inbound and outbound network traffic and determine whether or not to allow the traffic through based on a user-defined set of security standards. Routers are the devices used to connect personal computers to the internet via a service provider like cable or DSL. The device that your computer is either directly connected to via an ethernet cable or that you use to access your home WiFi network is a router. Uptime and downtime describes how long a website, computer, or other system has been working (uptime) or not working (downtime). Virtual machine is software that makes it possible to use one computer operating system (like Windows 10) on a computer running another system (like a MacBook Pro). Examples include Virtual Box, Parallels, and VM Ware. VPNs are networks that allow public internet connections to be used as private networks as a means of improving security. When you use a public WiFi network, for instance, your device and data are theoretically accessible by everyone else on the network. When using a VPN, you’re still able to access the internet through the public network, but are shielded by the VPN. VPN’s can be set up through some web browsers (like Opera), or can be accessed through paid monthly services. Big data is a term for collections of data that are so large they can’t be processed through traditional data processing systems. These collections come from sources like mobile devices, emails, search keywords, user database information, applications, and servers. By finding ways to comb through this data, companies can identify consumer patterns and use them to predict and optimize their business. Data architecture describes the way data is collected, stored, accessed, and used in companies and organizations. It can be seen as the roadmap for how data flows across an organization’s IT systems and applications. Data visualization is the use of graphs, charts, tables, infographics, etc. in order to define and communicate data being analyzed and the the findings that have come from it. Relational database management systems are used to organize data into tables—the data can then be accessed or reassembled without having to reorganize the database tables. Examples of RDMS include SAP and MySQL. Hybrid apps are applications that will work on different platforms (computers, mobile devices, tablets) and are a combination of a native app (one that is stored locally on your device) and a web app (one that is accessed through a web browser on the Internet). Amazon and Apple App Stores, Twitter, Yelp, and Gmail are all examples of hybrid apps. IDE is a software application that includes tools like source code editors (text editors specifically designed for writing code), debuggers (tools for testing code), and build automation tools (tools for compiling code into machine-readable format and running automated tests). Examples of IDE’s include Eclipse, Visual Studio, and VIM. Native apps are made specifically for certain platforms. They only run on the platforms they were built for, and are stored locally on those devices. Mail for iOS and Ingress for Android are both examples of native apps. NFC is technology that lets mobile devices communicate using radio waves when they’re very close to each other (about four inches or less) and is used for services like sharing files, pairing accessories, or wireless payments. Companies can use NFC to make products interactive with consumers’ mobile devices, such as including NFC-enabled tags on products that allow users to register products, get discounts, or place new orders with their mobile device. Responsive web design is the practice of designing websites so that they adapt gracefully to different-sized devices like phones, tablets, wearable devices, etc. If you’re able to visit a website on your phone and it looks just as proportional and seamless as it does on your computer, it’s an example of responsive web design. SDK is a set of tools for creating specific types of software. SDK’s are released by companies that control the platform the software is being developed for. For instance, apps developed for iOS require the iOS SDK, Windows apps require the .NET Framework SDK, and Java apps require the Java Development Kit. Web apps are websites that look and feel like an app (as opposed to a series of linked pages). Facebook, Pandora, and Google Docs are all examples of web apps.